Very enjoyable tour, great guide and driver. Tulum beautiful. Pleasantly surprised by the variety of fish at the lagoon. The cenote tour was a great surprise! I expected open sinkhole swim, but was actually a beautiful private cave. Delicious lunch at incredibly gorgeous remote beach restaurant. This is a nice tour that combines many of the good things Yucatan has to offer, namely Maya ruins, Cenotes, snorkeling, and time at the beach. 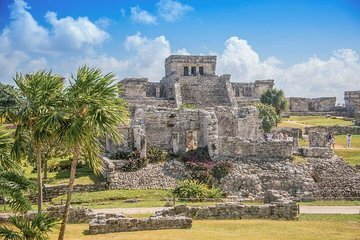 Tulum is an interesting place being the only remaining port city of the Mayas. visiting the site gives an opportunity to learn about this aspect of their life, so it is worth visiting even if you visited the more famous sites of Chichen Itza and Uxmal.